When you think of fountain pen users, you probably think of one of two categories: lawyers and politicians who can afford pens that cost thousands of dollars or the oddball novelist who writes exclusively in leather notebooks. Although these stereotypes have their merits, the “writing renaissance,” as this period in writing history is affectionately being called, is actually being brought about by an entirely different demographic: university students. “Whether it’s 18-year-olds going into university or 22-year-olds leaving university, I think there is so much that is coming to them via the internet and all kinds of social media, and I think that the fountain pen is a pleasant change,” said Mano Duggal, owner of Phidon Pens in Cambridge. 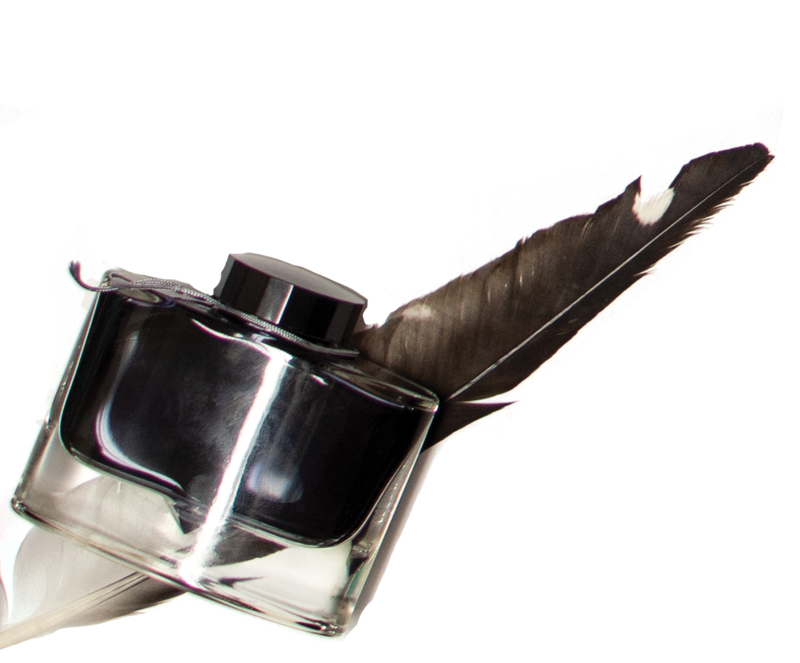 In the Waterloo region, fountain pens enjoy a considerable following and fan base. You only need to look at the incredibly successful and popular pen shop, Phidon Pens, as well as the great amount of people who share in the same passion for all things writing. Increasingly, students are becoming a larger and larger portion of this group. Phidon is located in Downtown Galt and features enough inks, pens, notebooks and accessories to keep you looking around for hours. The store just celebrated its tenth anniversary in September with celebrations including a sale, calligraphy demonstrations and a ribbon-cutting ceremony with Cambridge Mayor Doug Craig. “Over the years, I’ve given some interviews and the people ask me ‘why pens, why do you sell pens?’ and I always say ‘why not?’” Duggal said. The two of us attended both days of the celebration and there was not a single dull moment. The store was always full of people enjoying everything the store has to offer, as well as all of their special displays and products for the anniversary. Predictably, we were not the only students that stuck around. “I just feel like students have a low budget that they are working with and they’re buying pens and notebooks that are mainly being used for their education, so it’s just a small little break that I offer them,” Duggal explained, in reference to the 10 per cent student discount she offers at her store throughout the year. Though the teasing is light and kindhearted, Duggal’s sentiments ring truer than she intended in the moment. Countless studies have shown that handwriting notes improves grades, so buying a fountain pen at a discounted price really could be an investment — a serious contribution — to our educations. Though I’m not sure that there’s been any research into the direct correlation between fountain pens and straight A’s, I think it’s safe to say that you’re way more likely to want to write with a smooth, flowing pen than a 30 cent ballpoint. “When I was in college years and years ago, I found that it’s easier to retain information if you write it out. So, when I was studying, I would literally just write out my notes three or four times and it was committed to memory,” said Kata Law, a local artist and owner of Wanderlust Watercolours. On top of using fountain pens for her art, Law also ran the only Pelikan Hub in the Waterloo Region in both 2017 and 2018. Pelikan Hub is an annual global event where pen lovers meet at 6:30 p.m. in their respective timezones all across the world for socializing, networking with other pen users and professionals and trying new products. Cambridge’s Hub was one of the largest in Canada with over 30 participants. Toronto’s attendance was the second largest in the world with over 100 registered guests. It’s pretty safe to say that this is an excited community. And who makes up that community? At Law’s Hub this year in Cambridge, there was a student in a Laurier sweater. There were two University of Waterloo students of note. We personally sat next to a student from Conestoga College who had introduced his mother and sister to fountain pens. There was no shortage of student representation at this international event, that’s for sure, and we were all excited to talk about our experiences in the fountain pen community and compare pens. In particular, the consensus between us students seemed to be that there was a strong connection between thinking about what we wrote and actually remembering it. “It lets people be mindful of what they’re writing … You have to think about it, you can’t just sit and erase everything,” Law said. The permanency of writing in pen is something that will help come time for exams, but it will also help in actually retaining the information that you learned. You don’t have to have a photographic memory to remember how you wrote something on a page, and something as simple as using a specific colour can help jog your memory when it really counts. That’s all fine and dandy, but you can get that with any pen, not just a fountain pen. So what’s the big draw? The answer lies in the experience of writing itself. Have you ever used a pen so smooth that you don’t want to put it down? It was probably a gel pen or rollerball that just flowed with ink. Picture that feeling every time you write. The experience of a pen with a nice weight in your hand that writes perfectly every time and requires absolutely no effort on your end — all with the added bonus of having infinite colour choices that pre-packaged pens can’t provide: that’s what a fountain pen is. “I think it makes my writing look a lot better and it feels very nice to write with,” said Sarah Szymanski, a fourth year Laurier student. Szymanski recently started writing with a fountain pen for the first time. The biggest drawback from getting a fountain pen, like almost anything in university, is the initial cost. From $6 here at our own bookstore to $975,083.08 on Ebay, the current highest listed amount for a fountain pen, the cost associated with getting into the hobby can be, well, scary. “I feel that, if you get one, it’s always your first [fountain] pen. And you can get a ballpoint for 50 cents, but you’re not going to enjoy the experience of writing, which, if you’re going to be writing that much, you may as well enjoy the experience of it while you’re doing it,” Law said. Having a pleasurable writing experience isn’t the only draw to our favourite inky friends, however. As single-use plastics are becoming more and more taboo, some of us are starting to think twice about the amount of plastic pens we use, and that’s another draw towards something that’s refillable. “It’s really exciting that it’s reusable. When I’m done with the ink, I don’t throw the whole pen out and have to get a new one. I can just refill the ink cartridge and I still get to keep the same really cool pen and use it forever, probably,” Szymanski said. And that’s true, too. If you take good care of your pens, they can outlive you. There’s even dedicated fountain pen enthusiasts who work exclusively with pens from the early 1900s. For us modern fountain pen users, though, there’s always a new thing coming out. Szymanski uses her fountain pen, a Lamy Vista, to take notes during class. This is her first fountain pen, and, coincidentally, Law’s first fountain pen was a Lamy Vista too. But, as any fountain pen user can attest, once you buy one, you have to have more. It’s a hobby that just keeps growing, whether it’s a new ink colour, a new pen every few weeks or just taking the time to refill your pens at the end of a long day. Personally, we write all of our notes in black and add accents, like the date, key terms and headings, in colours. When it comes time for actually studying those notes, we feel like we’re seven steps ahead, actually studying instead of flipping over to Facebook every time I try to read our notes. “I definitely feel that there is a strong need for bringing back pens in the classroom. Definitely, writing is good for you,” Duggal said. 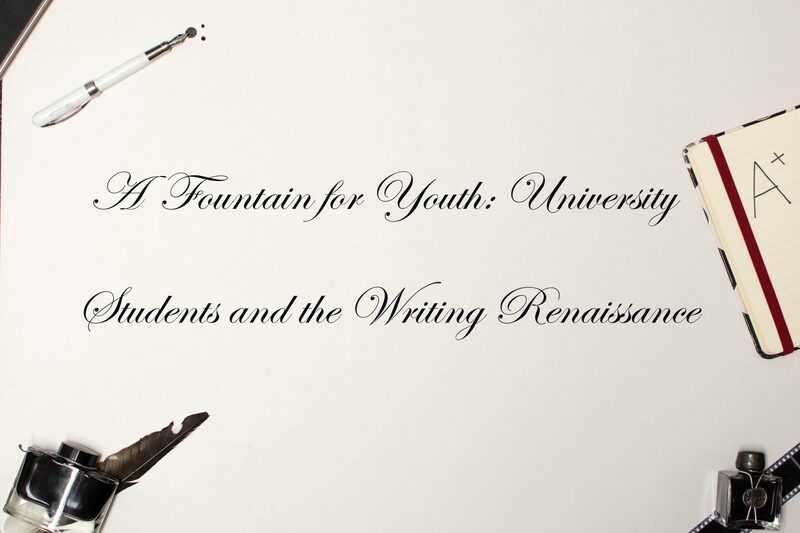 Students are creating what has been cited as the so-called writing renaissance, bringing the fountain pen mainstream again. It’s a fact that we have a lot to write and a lot to say. There are few occupations that require so much writing, so now’s the time to really get the most out of your investment into a good pen — or 10. That said, you don’t have to ditch your MacBook and hand in all of your essays in cursive. In fact, that’s probably not advisable at all. You can find a happy medium between your screen usage and your handwriting, and it’s probably recommended to do both for the best grades possible anyway. “Writing is as old as civilization: I see no reason why [using both fountain pens and computers] shouldn’t go hand in glove,” Duggal said. Though it probably seems retro and cool to those of us who are using them now, the prestige of the pen never really died — it just got overshadowed by our ballpoints and their availability. However, if you’re looking to be part of an unspoken movement, it’s as simple as handwriting your class notes. You don’t have to commit to impulse buying your first pen like we did, though. Chances are that if you see someone using a fountain pen, they’ll want to talk to you about their fountain pen. As long as it’s not a Visconti or a MontBlanc, they might just let you try it, too. “I think the fountain pen community is growing exponentially and pretty much everyone is kind and willing to share their information,” Law encouraged. Author: Madeline McInnis, Michael OliveriAfter her time as opinion editor and creative director, Madeline is now the features editor at The Cord. She’s a fourth-year history and film studies major who’s fresh back from her exchange in England where she fell even more in love with London, writing, tea, art, and fountain pens.